Whether it's songs like "Wheels on The Bus," "Old MacDonald," or even Bob Dylan's "Man Gave Name to All Animals," often, children’s songs translate well into children’s books. One Utah resident entered her song into the International John Lennon Songwriting Contest and, after creating her own publishing company, she now has turned the award-winning song into a children’s book just in time for Halloween. Draper resident Danielle Webb wrote the lyrics for her song, "Could You Ever Love a Witch," last year and won in the children's category in the International John Lennon Songwriting Competition, earning her and her partners prizes like $8,000 worth of studio equipment—speakers, headphones, microphones, an electric guitar, software and a $500 gift card to Musician’s Friend. Webb came upon the opportunity to write a song when she ran into friend Bret Scherer, a high school choir teacher, who was putting together a Halloween choir program and was looking for songs to add. Webb jumped at the opportunity “I told him I thought it would be so fun to write music and lyrics, it’s one of the things you say but you don’t think will happen,” she says. "Could You Ever Love a Witch," made it's debut at the high school choir performance and was sung by student Kimberly Woodland, who would officially be the voice in the award winning song entry. Webb caught the songwriting bug and started perusing the Internet for songwriting seminars and classes when she stumbled upon the International John Lennon Songwriting Contest. 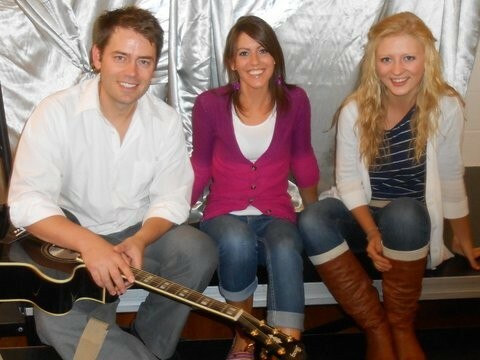 Webb, Scherer, and Woodland recorded and entered the song into the children’s category of the contest on a whim. Three months later, the musicians were shocked when they received word that their song won in the children's category. Webb is working on expanding her songwriting and children’s book work by continuing to work with Scherer. Currently, she’s putting together a vampire song (keeping in theme with Broomstick Press’ publications) and has five songs in Scherer’s upcoming Alice in Wonderland-themed choir show. The book, which takes the cute song lyrics and pairs them with charming illustrations, will be available to buy by October 31. You can pre-order yours from www.broomstickpress.com. You can also find more of Guerrero's work on his Deviant Art page. "If I can go to college, you can go to college"